Empathy is one of those strange qualities – something almost everyone wants, but few know how to truly give or receive it. In a world where self-gratification is emphasized, it is in short supply but high demand. This is all the more reason to teach the next generation what it means to have empathy for those around them. Many people confuse sympathy and empathy, but they are two distinct values. Empathy is not just the ability to understand someone’s feelings; criminals often take advantage of people by appearing to understand their feelings and subsequently gaining their trust. Empathy is more than that. Not only is it the ability to recognize how someone feels, but it also values and respects the feelings of another person. It means treating others with kindness, dignity, and understanding. Many adults find it hard to talk about emotional needs or anything related to emotions. Consequently, they spend their lives tiptoeing around the subject of emotions. These are people who don’t know how to handle the emotions of others and are uncomfortable with any situation that calls for an emotional response. Sometimes they are afraid of their own emotions because they have never learned how to deal with emotional needs. It’s a good idea to talk to kids about emotions and how other people experience them. Give their emotions names (for example, jealousy, anger, and love) and teach them that these are normal. Talk to them about how to handle emotions in a positive way and point out situations where other people are experiencing emotions. Teach them about respecting the emotions of others and show them how to act in a situation where a response is required. There is nothing like a real life example to model what you are teaching. Look for situations that affect another person and talk to your kids about what it means to the people involved and how they might feel. For example, if you see an ambulance speed past, talk about how the family members of the sick person might be feeling. Teaching your kids the difference between right and wrong from a young age gives them a strong internal moral compass that will direct them to make good choices. In situations that require a decision, help them to see how our choices and behavior affect others. Talk to them about how wrongdoing harms others and help them to see the hurt and damage that it causes. It’s a good idea to talk to them about the little things such as calling a sibling an unkind name that hurts her feelings or refusing to play with their brother when friends visit. When building a strong moral foundation, start small and begin with the basics. 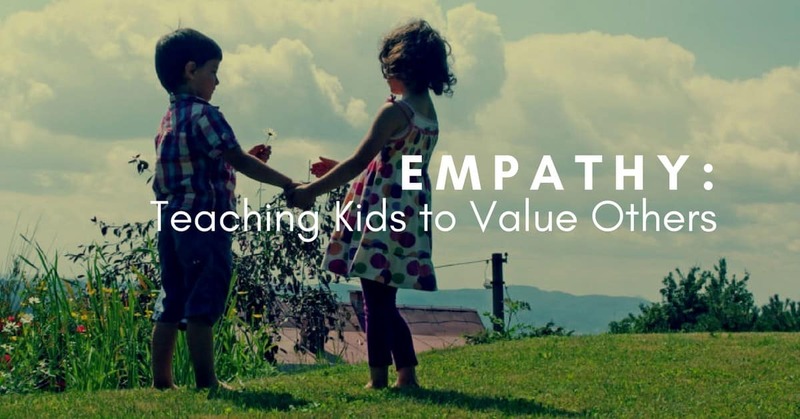 By raising your kids to understand and practice empathy, you’re giving them the gift of giving. In a world where great emphasis is placed on looking out for your own interests, people who are givers are all too rare. But they are the ones who enjoy the greatest satisfaction from life, live the most meaningful lives, and enjoy more rewarding relationships. Teaching your kids empathy is a worthwhile investment for their own futures and for the world they will inhabit.